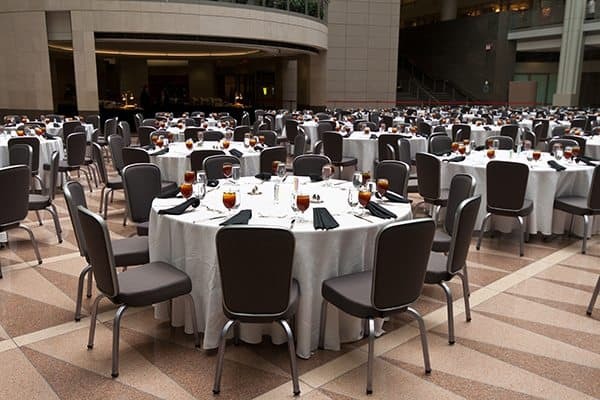 Are you looking for a great resource for finding a venue for a fundraising event in the Dallas area? Locating the perfect venue can be challenging and time consuming. Below are some tips to simplify this process. The City of Dallas has a great website that is a valuable resource to make the process of finding a venue for a fundraising event quicker and easier. You can search for types of venues such as hotel, non-hotel, ranch, etc. to meet your needs and compliment your event theme. When you click the Hotels and Events link on the page, you can choose from hundreds of hotels and event venues. Your choices include a wide array of hotels and many other options, such as The Dallas Museum of Art, several convention centers, Sixth Floor Museum at Dealey Plaza, Dallas Market Center, Top Golf, numerous restaurants, George W. Bush Presidential Center, Perot Museum of Nature and Science, Dallas World Aquarium, Southfork Ranch Event and Conference Center and much more. After you select a category, you can narrow down your search by using filters. You can choose hotel meeting space or meeting and events facility. Next, you can click neighborhoods to narrow down your choices based on 9 different Dallas area neighborhoods. The choices include venues in many Dallas suburbs. This resource also allows you to find venues based on space and capacity. Your selection of venues will be narrowed down based on the number of rooms you need, the minimum square footage of room size and minimum size of banquet and reception rooms that you need for your event. Additionally, you can search venues, sort venues alphabetically, and sort them based on distance from a location. After you have finished using all of the features to compile a list of possible venues, you can submit a request for proposal (RFP) to each venue. You simply click the Submit RFP button, complete the information form, and click submit! Now, you just have to sit back and wait for the venues to send you proposals and pick the perfect space for your next event! Murad Auctions offers professional charity auction services to non-profits for successful benefit auction events. Since 2000, Murad Auctions has helped hundreds of non-profits achieve their fundraising goals. Murad Auctions relies on expertise, crowd-pleasing enthusiasm and technology to take benefit auctions to the next level. If your organization needs advice on your auction event, please contact Murad Auctions at 972-238-0249 x 102. We will be happy to help make your non-profit fundraiser a success.